A thin, rigid and stable jet with high specific power. The high temperatures reached by its jet make plasma cutting one of the most functional and used systems for sheet metal and metals in general. Its small overall size and weight make this torch very easy to handle, especially with the ERGO version with ergonomic handgrip and the ignition button located at the bottom. Available with 2 different connections (1/8” and centralised) and with 2 different cable lengths: 6 or 12 metres. Packs of spare cables have 1/8” connection but are prepared for centralised connection. Ideal for cutting carbon steel plates up to 50 mm. For years, this has been a widespread and appreciated technology within the industry. A jet of plasma gas melts material in the cutting area and removes it, leaving a well-cut line. Through its special nozzle, the torch dispenses an inert gas. Through this gas, an electric arc is formed between an electrode and the material in the process of being cut. The electric arm transforms gas into plasma. The very high plasma temperatures (approximately 10,000°C) bring the material to be cut to the melting temperature, the molten metal is evacuated from the melting groove and cutting is carried out. There are then several methods for cutting the plasma: the choice is based on a variety of factors, such as the degree of precision of the cut and its mechanical or manual implementation. Beside conventional cutting, we can remember dual gas systems, with water and precision screen. Plasma is considered the fourth state of material. It is a highly ionised gas and is an excellent electrical conductor. The reproducibility of plasma in an industrial and repetitive way is carried out through a device called a torch. Plasma cutting is in fact suitable for all electrical conductive materials. Thanks to plasma cutting it is possible to cut both thin sheets and considerable thicknesses. There are many plasma cutting applications in the industrial sector. The cutting of stainless steel, carbon steel and aluminium sheets of different thicknesses is particularly used in the transport industry as well as in the refrigeration and air conditioning field. The ability to cut very thick slabs is especially valuable in the naval industry, but also for the creation and machining of pressure vessels, as well as earth moving vehicles. Plasma cutting effectively lends itself to the contoured cutting of tubes and other cylindrical materials, for the creation of grooves and inclined cuts, as well as for bending, perforation and gouging processes. 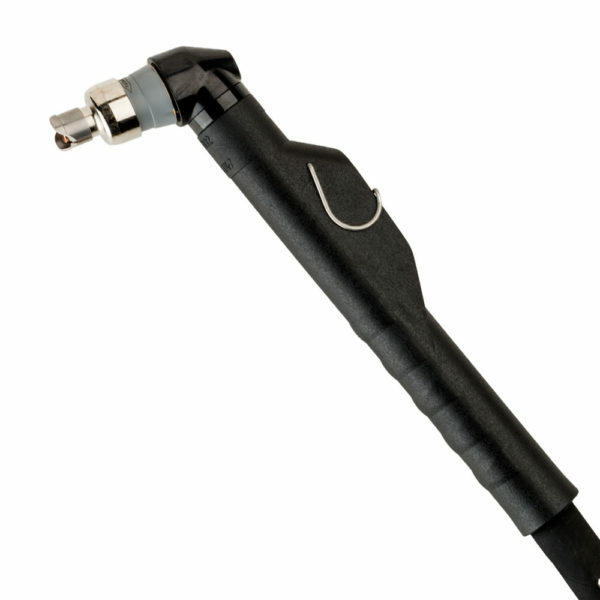 The professional flash plasma cutting torch, in hand and machine versions. CAUTION! With currents greater than 45/50 A, the nozzle must not touch the piece to be cut, so use the spring spacer or the two-tip spacer. 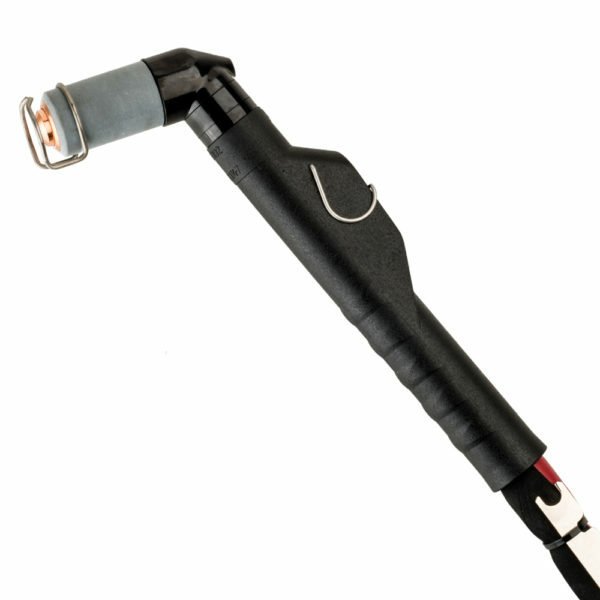 This torch is equipped with electric safety located on the torch body to avoid dangerous voltages when replacing the nozzle, electrode or nozzle holder. Available with centralised connection and 2 different cable lengths: 6 or 9 metres. The machine torch is also available with a 4-metre long cable. 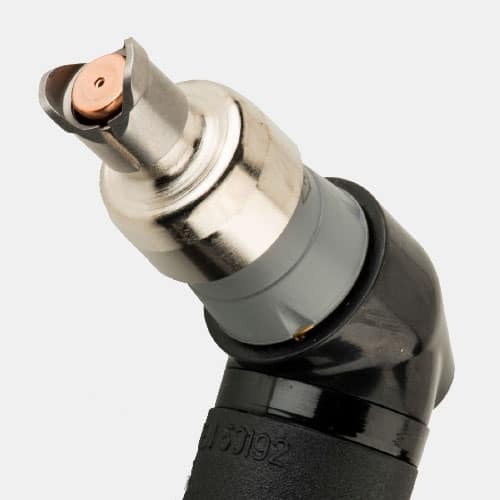 This torch, designed to cut electrically conductive materials (metals and alloys) by means of a plasma arc procedure. It uses clean and dry air like plasma gas and distilled water mixed with glycol for cooling. 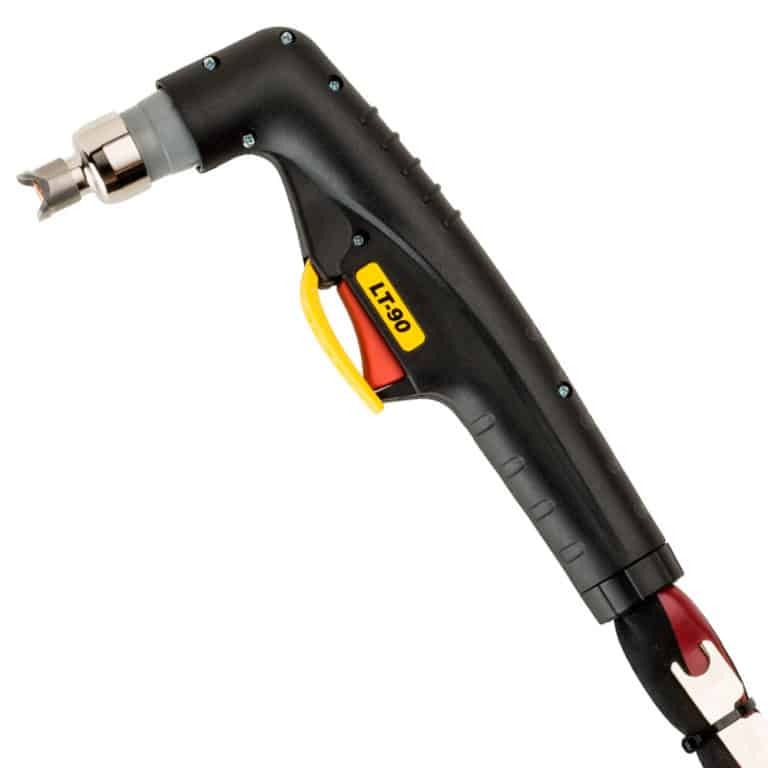 The diameter of the nozzle hole on the torch depends on the cutting current. 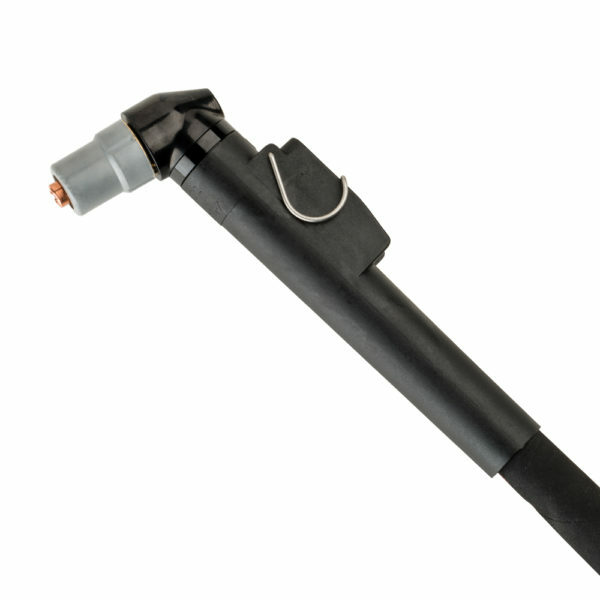 Professional torches that offer great value for money. The largest of its family, but can be easily handled by operators. Primarily intended for professional use for conventional plasma cutting using a single gas (air) that cools and produces plasma. The CB150 model stands out from the CB150 ERGO model for the position of its ignition button. In the former, it is located at the top of the handgrip protected by an edge that prevents accidental ignition; in the latter, it is located at the bottom of the handgrip. Available with 2 different connections (1/8” and centralised) and with 2 different cable lengths: 6 or 12 metres. Ideal for cutting materials with a thickness of up to 160 mm. The high temperatures reached by its jet make plasma cutting one of the most functional and used systems for sheet metal and metals in general. 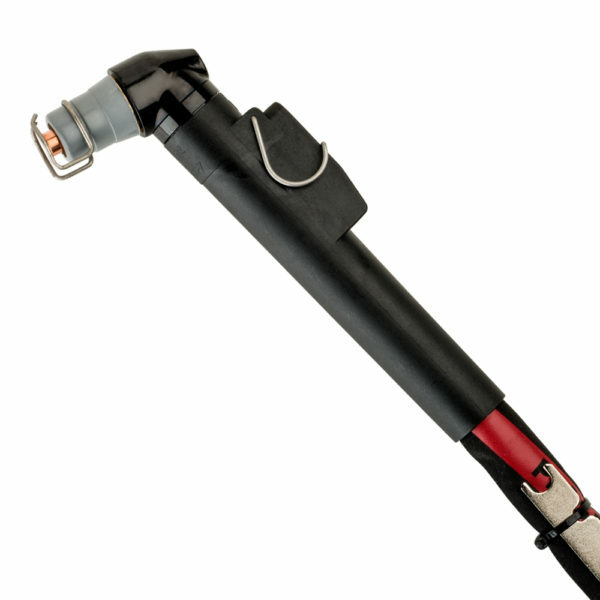 Its small overall size and weight make this torch very easy to handle, especially with the ERGO version with ergonomic handgrip and the ignition button located at the bottom. Available with 2 different connections (1/8” and centralised) and with 2 different cable lengths: 6 or 12 metres. Packs of spare cables have 1/8” connection but are prepared for centralised connection. A very versatile torch for its machining speed and wide range of materials with which it can be used. The temperature reached by the jet are such as to cause the metal to melt, cutting it. The ERGO model stands out for the increased ergonomics of its handgrip. Ideal in the field of metallurgy for steel and stainless steel sheets. Plasma torches: for the most demanding operators. A lightweight, easy to handle torch. The CB50 model stands out from the CB50 ERGO model because of the position of its ignition button. In the former, it is located at the top of the handgrip protected by an edge that prevents accidental ignition; in the latter, it is located at the bottom of the handgrip for greater ergonomics. Ideal for cutting thin sheets in light metallurgy.